The lovely market town of Marlborough has a rich and vibrant heritage that can be seen on the faces of the beautiful buildings throughout much of the town and it’s suburbs. 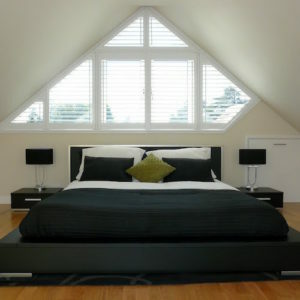 Marlborough Plantation Shutters by Just Shutters offer the perfect solution for your home or business. Call us on 01722 440714. Architectural styles vary but with the history still visible, the chocolate box face of the town is very much reflected in many of Marlborough’s streets. Why does this matter to a shutter company you may wonder? Well Just Shutters pride ourselves on understanding the needs of buildings, and of course not just from an architectural point of view, but as the homes of the people that live in and love them! We have a wealth of knowledge and experience designing and fitting beautiful internal shutters in homes old and new, in fact we have over 7000 satisfied customers who will testify to our expertise in understanding their need and the needs of their homes, whatever the age and style. Why choose shutters from Just Shutters? Just Shutters Marlborough are committed to bringing our customers the very best, the best range, the best product and the best service. We do this by working with the worlds finest and largest shutter manufacturer while our local experts will design and install with the passion and pride of a trusted local specialist. – Dust mould and allergen reducing – no more pesky fabrics gathering dust and dirt! – Value – while shutters are a more luxury purchase, they certainly add value for money for many years to come. They simply last, need no laundering and come with a lifetime guarantee! – Value – yes another thing to remember is you will sell the shutters along with your house, adding long term value to your home! Whether you are looking for shutters because of their beauty or their practicality, Just Shutters are committed to helping you chose the right, life-long solution for your home. Call us today on 01722 440714 and challenge us to show you why we are simply the very best shutter company in Marlborough and beyond. What makes Just Shutters so special? Just Shutters puts you first. It is easily said and not often done in this day and age, but it is the secret to our success. Please feel free to search on checkatrade and see the independent reviews from so many satisfied customers. We are simply unsurpassed in our reputation and would be delighted to demonstrate this to you. While we could sing our own praises, we will end with some of the independent third party published reviews (checkatrade) from our customers, if you are considering shutters, we hope to welcome you among them! New plantation shutters for 2 rooms. Shutters installed in living room and bedroom.